If you’re looking for a car that combines premium performance with high technology, you’re looking for a vehicle that uses the most advanced tech to keep you connected and in control. The 2017 Jaguar XJ has it all. Check it out today from Jaguar Annapolis. 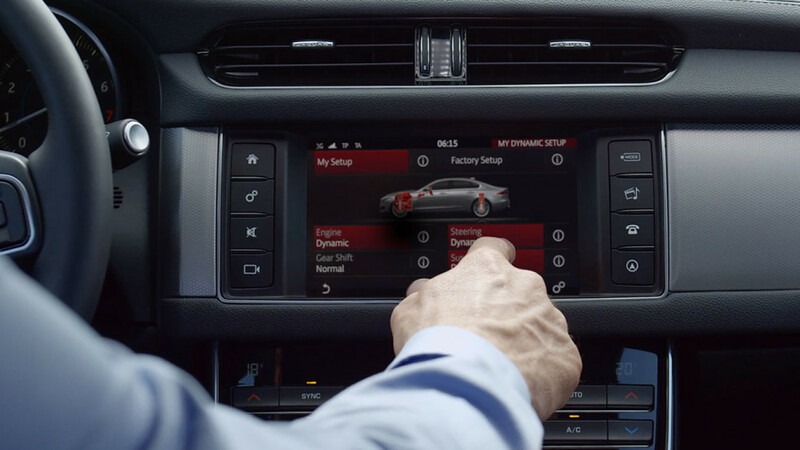 The 2017 Jaguar XJ offers the Jaguar InControl Touch Pro system. Sync up your smartphone so you can use your favorite apps and unique Jaguar apps on a clear 10.2-inch touchscreen, which gives you the ability to use the same swipe and pinch gestures you use on your other mobile devices to easily navigate your apps. Play your favorite music or place hands-free phone calls from your contact book with Bluetooth phone and audio streaming, or use natural voice commands and voice to text recognition to control your climate, change the settings on your vehicle, and much more. In-vehicle navigation makes it easy for you to get around Washington DC. This cutting-edge navigation system uses real-time GPS information and 3D mapping to help you route your trip. Destination and address input is easy with voice commands, letting you keep your hands on the wheel and your eyes on the road. The Jaguar InControl Touch Pro system doesn’t just let you control your car when you’re inside of it. You can also keep in touch with your car remotely when you download the InControl Remote and Protect app. You’ll be able to lock, unlock, and start your car from anywhere you go, check whether the windows and other apertures are closed and locked, and even preheat and precool the car by operating the climate control from your phone. Use GPS technology to find your car if you’re in an unfamiliar part of Baltimore. If you’re the proud owner of an Apple Watch, you’ll even be able to check your fuel level and range from your wristwatch! The 2017 Jaguar XJ includes a full suite of advanced safety technology that keeps you aware of your surroundings. Advanced parking aids use sonar to detect parking spaces and steer you in and out with safety, while traffic sign recognition uses a special camera to detect speed or “no passing” signs and display them easily to you. The autonomous emergency braking system watches for imminent collisions and alerts you to obstacles, and applies brake pressure to your drive to reduce the severity of the crash if you can’t reach the brakes. Lane keep assist keeps track of your position in the lane and lets you know if you’re drifting, while driver condition monitoring helps you stay awake at the wheel on long drives around Arnold.